The Cosmonaut Volkov tomato (Lycopersicon esculent) is an heirloom variety, originating in the Ukraine. Cosmonaut tomatoes are a good general purpose tomato, although many growers use them as salad or snacking tomatoes due to their tangy, sweet flavor. Heirloom varieties, such as Volkov, are increasing in popularity as growers are becoming more aware that F1 hybrid varieties may offer more disease resistance but are inferior in flavor. Cosmonaut Volkov tomatoes produce medium-large fruits, weighing between 12 and 15 oz. The fruits are a deep red, with a smooth, slightly flattened appearance. The Volkov cosmonaut tomato was developed in the Ukraine and takes its name from the famous Russian cosmonaut Vladislav Volkov, who met his demise aboard the craft Soyuz while attempting to re-enter the Earth’s atmosphere. Volkov is best known for his work on board Salyut 1, the first space station, in 1971. Cosmonaut Volkov tomatoes are a good, all-round variety, performing well in milder conditions. They are resistant to some diseases, such as mildew, but are still susceptible to many common tomato diseases, such as blossom end rot. The fruits of the Cosmonaut Volkov variety ripen 65 to 75 days after planting. Richard Bird, author of “How to Grow Successful Tomatoes: A Practical Gardening Guide for Great Results,” recommends planting three to five plants per person to ensure a supply large enough to feed a grower and his family. Cosmonaut Volkov tomatoes, like all tomato varieties, are prone to attack from aphids, which eat the growing tips. Slugs will attack young seedlings, stripping the young leaves and often killing the plant. Rodents such as rats and mice will eat ripened fruit, as will some birds, especially if other food is scarce. In some areas, the tobacco hornworm is a serious tomato predator. The large hornworm caterpillars can devastate a tomato crop in a matter of days. Avoiding insect infestation involves constant vigilance; it is best to destroy the pests while their numbers are small, or when they are still eggs. Be sure to check beneath the leaves of your tomato plants for clutches of tiny eggs, and carefully scrape them from the leaf. Egg clusters and caterpillars can be drowned in soapy water. Anthracnose is a disease to which the Cosmonaut tomato is not resistant. When the fungus comes into contact with the fruit, dark brown, sunken circles will appear and will enlarge and darken as the fruit grows. Eventually the cankers split the fruit. The fungus spreads rapidly but can be controlled with copper sprays. To reduce the risk of your plants contracting anthracnose, remove the bottom 12 inches of fruit and leaves, or water only around the base of the plant, so no soil splashes up onto the developing fruit. Regular, even watering is vital for healthy plants and fruit. Blossom end rot can develop as a result of irregular watering, as the tomato is unable to dissolve and circulate calcium. This physiological condition renders the fruit inedible, as it rots from the bottom up. 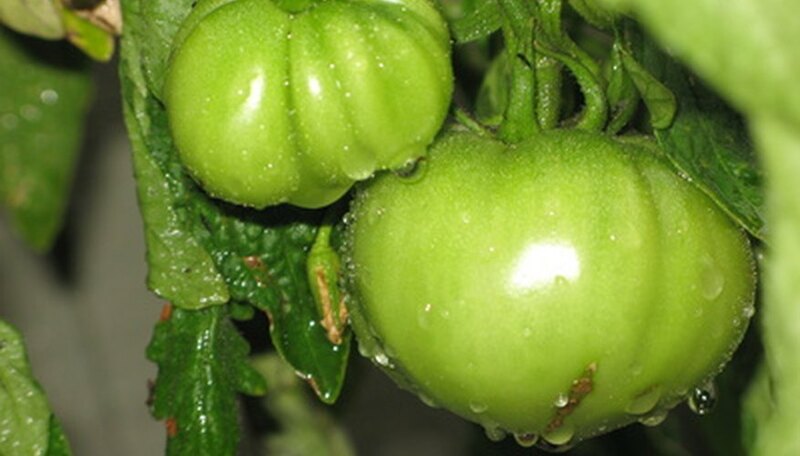 Like all tomato varieties, Cosmonaut tomatoes should be watered around the base, never on the fruit or foliage, as tomatoes do not tolerate wet conditions. This will reduce fruit yield and may cause the fruits to rot before maturity. Irregular watering and overwatering also cause the maturing fruit to split. As the flesh of the fruit absorbs water, if too much water is given, or the pattern is irregular, the skin of the fruit is not flexible enough to accommodate the swelling, and so it splits.